MLA : Blogs : Bandy, Margaret M.
Margaret M. Bandy, AHIP, FMLA, is renowned throughout the health sciences library community for her exemplary work as a hospital librarian, her advocacy for challenged libraries, her pioneering efforts in consumer health information, and her efficacy in promoting hospital library standards. In 2015 she retired from Saint Joseph Hospital in Denver, CO, after forty-three years in the profession. 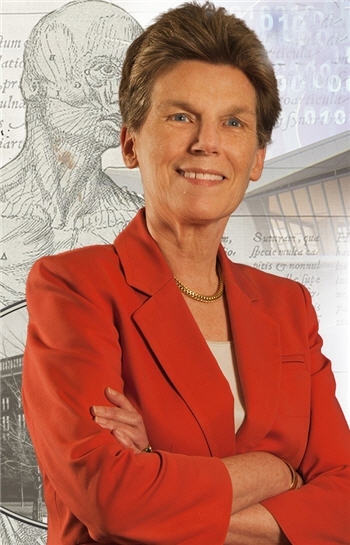 During her thirty-six years at Saint Joe’s, she worked tirelessly to provide information for her library patrons, while at the same time contributing to the body of knowledge that informs the best practices of hospital librarianship both regionally and nationally. She introduced automated library services to her users and adopted new technologies that allowed her to effectively run her library. “I didn’t want to be left behind. I thought, this is the future. Just because this is a small library, shouldn’t my clientele have access to these things, too?” At Saint Joe’s she relocated her library twice, successfully arguing for the value of placing the patient and staff libraries in prime locations that maximized their visibility and convenience for users. In 1976, it was moved to the eleventh floor of the hospital, under the helipad. And you had to be going there to get there… The main hospital elevators didn’t even go to the eleventh floor, just the service elevators and the stairs… It was used heavily by the residents, but there were only a few nurses that really made their way into the library. And I always thought highly of them for making that effort. I’ve talked to hospital librarians, and I still do, about frustrations that they can’t seem to break through. I try to encourage them to not be fearful and to try to reach out to these people, because it may just be that these people never thought of it—that your skills could contribute in some way. 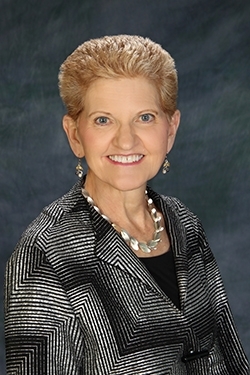 Bandy served as MLA representative to the Joint Commission on Accreditation of Healthcare Organizations (now The Joint Commission) and the Magnet Recognition Program, where she was part of collaborative efforts with nurses that offered librarians a new role in their institutions. I think that it’s going to be difficult for libraries in small hospitals to continue to exist… In large systems, there is a trend as well to purchase big electronic packages and expect that to suffice for the information needs of physicians and nurses… I know a lot of hospital librarians are working very hard on things, like Magnet and health literacy and anything they could think of that the organization needs, [where] their skills could contribute. 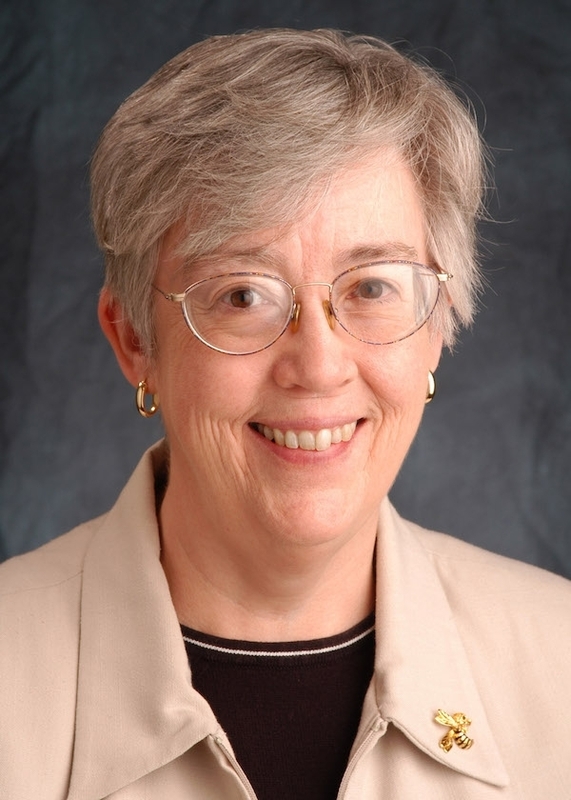 She helped shape the practice of consumer health information services, both in her institution and through MLA’s Consumer and Patient Health Information Section (CAPHIS). I think that working in the hospital environment… you see patients and families every day, and you’re constantly reminded of what this work is about… Breaking those barriers down for people was one of the main focuses and impetus, I think, to get that movement going. In all of these programs, she used her writing skills to communicate successes and strategies. She coedited the Medical Library Association Guide to Managing Health Care Libraries, 2nd edition, published in 2011. She was president of CCML twice and chair of MLA’s Midcontinental Chapter. 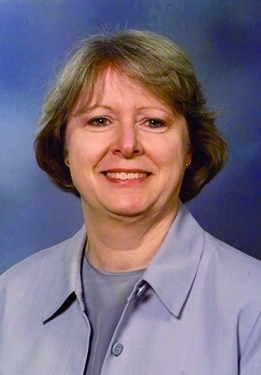 In 2002 Bandy received the Lois Ann Colaianni Award for Excellence and Achievement in Hospital Librarianship. She received MLA Fellowship in 2010 and became the 2014 Janet Doe lecturer. I wanted to give them a perspective of my approach to hospital librarianship, so I… talked about the steps leading up to that. But more than anything, I wanted to talk about where we are now and how we need to position ourselves to still be a viable component of and contributing member of hospitals. In 2012 she was awarded the Ida and George Eliot Prize, and in 2016 was lauded with the Marcia C. Noyes Award, the highest honor conferred by MLA. As her Noyes commendation states, Bandy’s leadership and organizational skills are widely recognized and appreciated. She is known to her peers as a professional who stands out as a most dedicated and committed librarian. Her years at one institution inspire many hospital librarians and health sciences professionals. Like Noyes, who worked at her institution for fifty years, Bandy’s legacy serves as a reminder that one person can make a huge difference.